ubiquitn control Beads (CUB02) Mouse Antibody from Cytoskeleton, Inc.
As part of the Signal-Seeker™ product line, ubiquitination control beads (CUB02) have been developed as highly specific negative control beads for Cytoskeleton's ubiquitination affinity bead (UBA01-Beads) products. These control beads are far superior to beads alone, because it has mutated versions of the UBDs covalently attached to the control bead matrix. 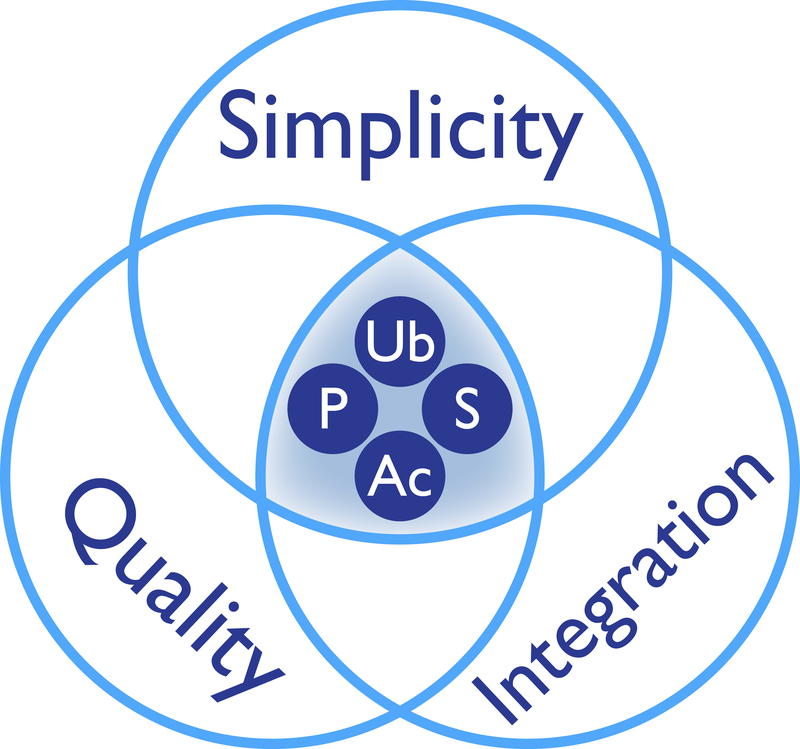 This control is particularly important for ubiquitin IPs as the unmodified version of target proteins often bind non-specifically to all available ubiquitin enrichment affinity matrices. A comprehensive Signal-Seeker™ Ubiquitin Detection Kit (BK161), which includes ubiquitin control beads (CUB02), is available and is recommended for first time users. Using the Signal Seeker™ Ubiquitination Detection Kit (Cat # BK161) we examined the ubiquitination of endogenous Rac1 in 3T3 cells treated with CNF1 toxin (Cat # CN04) and found that both mono- and polyubiquitination of Rac1 could be detected from 300 μg of 3T3 cell lysate. 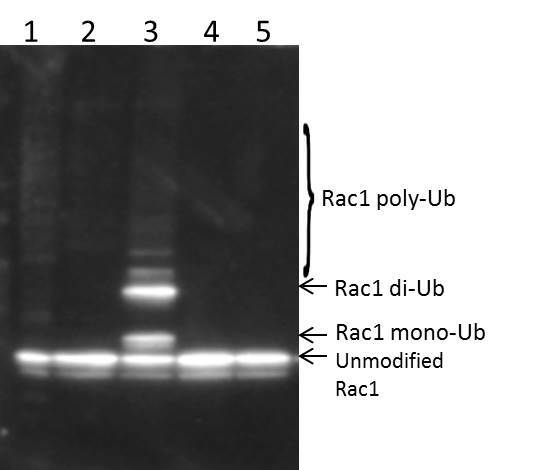 Importantly, note that the non-specific interaction of unmodified Rac1 occurs with both ubiquitination affinity beads (UBA01) as well as ubiquitination control beads (CUB02) (lanes 2-5); however, the mono- and poly-ubiquitinated Rac1 only binds to ubiquitination affinity beads (lane 3) and not to the ubiquitination control beads (lane 5). This data shows the utility of having appropriate control beads to help users distinguish the unmodified target protein band that is often present when performing ubiquitin IPs, which often occurs with every available ubiquitination enrichment tool. Each package contains enough ubiquitin control beads for 10 reactions.